The new, cleaner church calendar you’re sure to love. 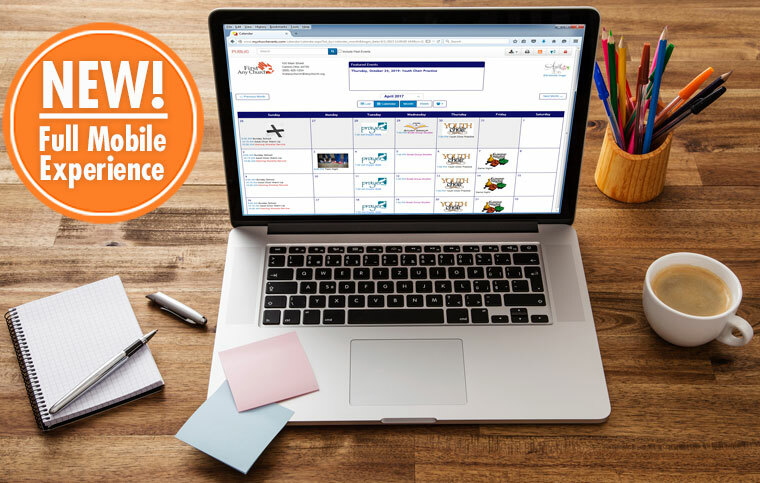 The only church calendar on the market that lets you effortlessly add images from the largest library of church-specific graphics in order to highlight and feature special events or days. Because the calendar is fully customizable, you can adapt its look and feel to fit your church. Upload your church's logo, customize your fonts, colors and more. No other church calendar is as good at resource management as ours. 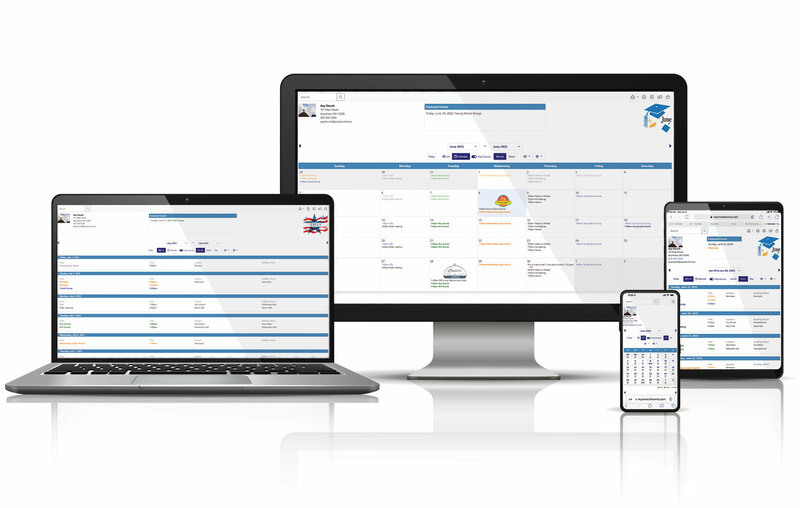 Our calendar is the only fully online calendar that manages resources, such as rooms, equipment, personnel, and will even instantly alert you of any resource schedule conflicts. Add the calendar to your church's websites in just minutes. If you don't have a church website, don't worry — we provide custom URLs for your calendar for easy access from any web browser or mobile device. Because the calendar is completely accessible through the website, there are no downloads required. The calendar works flawlessly on any device—even your members' phones, with no additional app required. 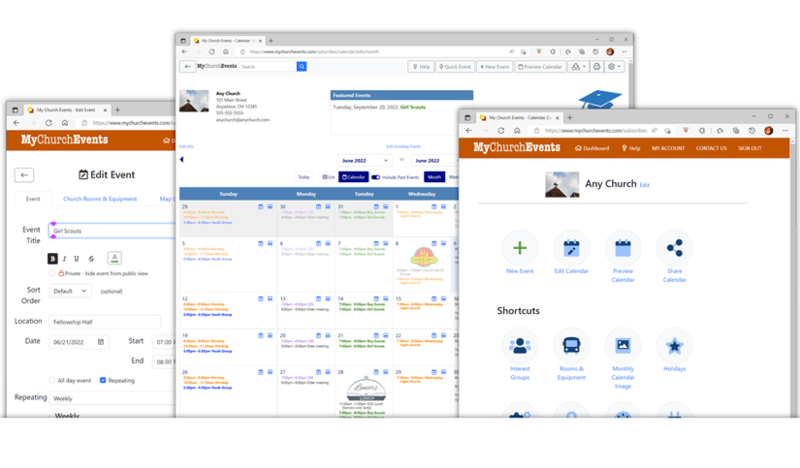 MyChurch Events is jam packed with more than a dozen of time-saving extras, such as email alerts, recurring events, private events and much, much more. With My Church Events, your members can go directly to your calendar with a unique web address, or you can link the calendar to your existing website with any of the 4 calendar views we provide. Best part? No additional hosting fees. If you already own a church website domain name (e.g. anychurch.org), simply point the calendar to your domain using our set-up wizard. It’s that simple! Click here for a detailed list of features!